Today, Thursday May 9th, is New Moon. While this is just another astronomical fact for some, New Moon is a meaningful day in the month for others. Why? Why are there folks who believe that the Moon, and how much (or little to nothing) of it is visible at any given night, has any influence on people and their lives? Same question for other planets, and the Sun. Well, I for one don’t think the Moon influences much. What I do believe is that the Moon with its very distinct cycle indicates what’s going on here on out planet. Indicates, mind you. Same thing with a calendar. The calendar doesn’t influence the seasons. It doesn’t make spring, and it certainly doesn’t make the flowers bloom and the trees blossom. They do that on their own. Getting back to the New Moon, the Moon’s cycle, and astrology per se: it’s just a huge watch and calendar. 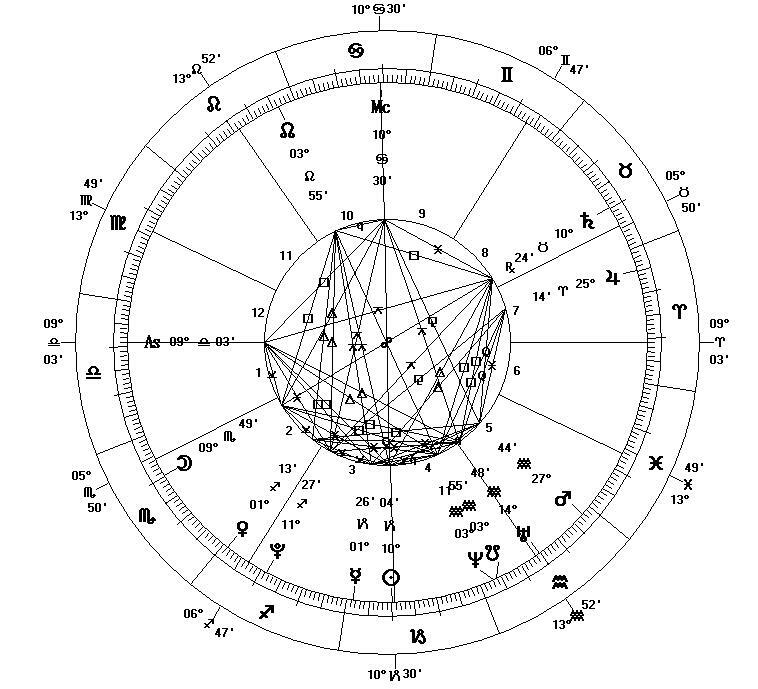 In fact, any astronomer can tell you precisely day and time and a pretty exact geographical location with an astrological chart, with the degrees of Sun, Moon, and planets in the Zodiac signs, and with the ascendant, the sign rising on the eastern horizon. So, 5/9/2013 at now 10:57 doesn’t tell me much more than it’s Spring and it’s late. The fact that it’s a New Moon also tells me (based on my own records) that my body will enter in the phase of my bio-rhythm, where I retain more water and where nutrition is more likely to be stored in cells. In other words, I’ll be peeing less and I’ll get heavier. A full astrological chart would tell me much more. Remember my comment, that I don’t need a watch to tell me I’m tired? It is said by some, that the best astrologers don’t need the star charts to describe the qualitative aspect of time and space. They are so in tune with what’s going on here on Earth that they don’t need that huge watch and calendar up in the sky. Does that still seem as if we are talking about stellar and lunar influences here? This entry was posted in Uncategorized and tagged Astrological sign, Astrology, druid, druidry, Earth, Horoscope, Moon, New Moon, Sun, Wall Street, zodiac. Bookmark the permalink.